MobileClean™ brings precision cleaning exactly where it’s needed. CO2 integrated spray cleaning is powerful yet selective. Apply it only where needed to jet away oils, films and particulate matter. Our patented technology allows the operator to dial in the hardness and impact velocity of the CO2 spray particles for aggressive or mild cleaning action. 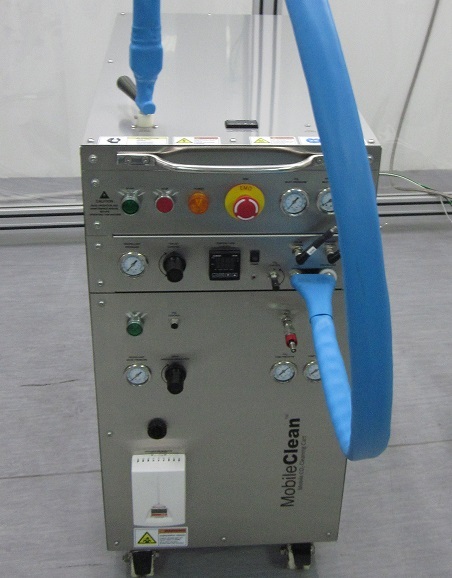 MobileClean™ is equipped with a convenient spray wand and optional on-board HEPA filtered vacuum. Simply roll up the MobileClean™, plug it in and clean. 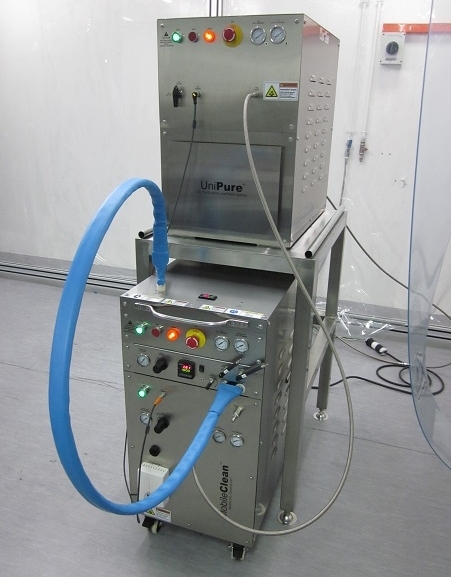 Perform selective cleaning of live electronic devices.